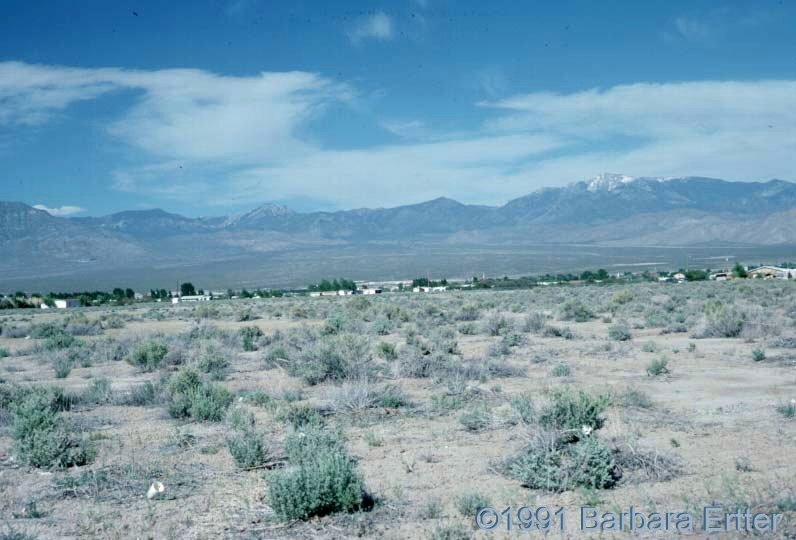 Photo: Pahrump, Nevada, with Spring Mountains in the background. Carl Purpus, Plant Collector in Western America Pahrump, Nevada, with Spring Mountains in the background. Charleston Mountains, Clark County, Nevada. Pahrump Valley, Nye County, Nevada.